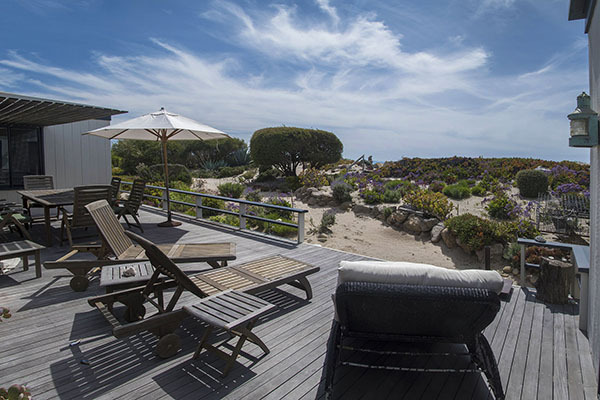 791 Sand Point Road has come on the market asking $9,750,000. 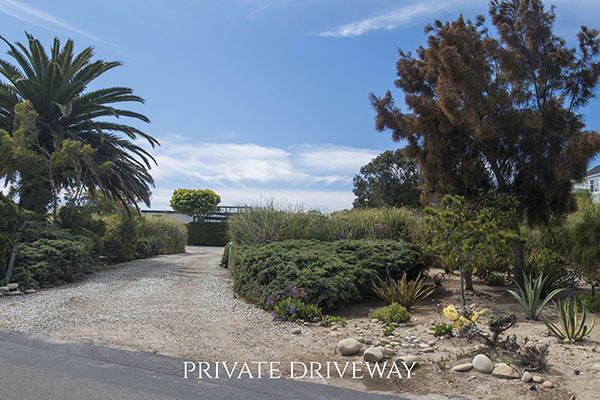 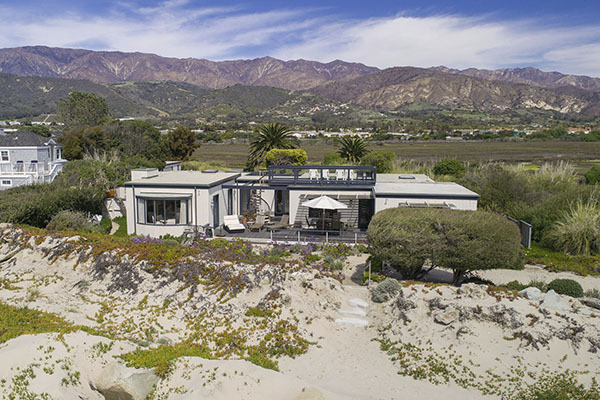 Listed by Kathleen Winter of Berkshire Hathaway Luxury Properties, 791 Sand Point Road is a delightful and very private home ensconced within a guarded and gated beachfront enclave and is literally surrounded by beauty. 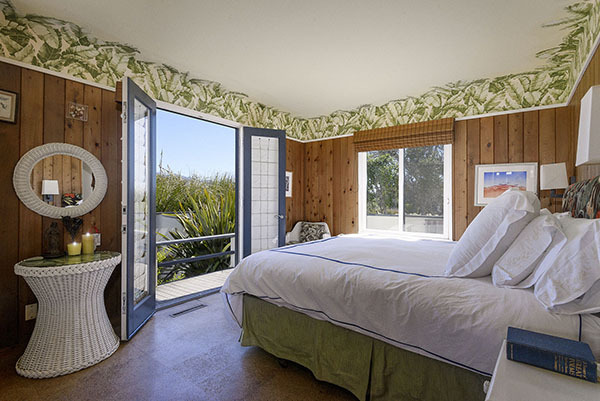 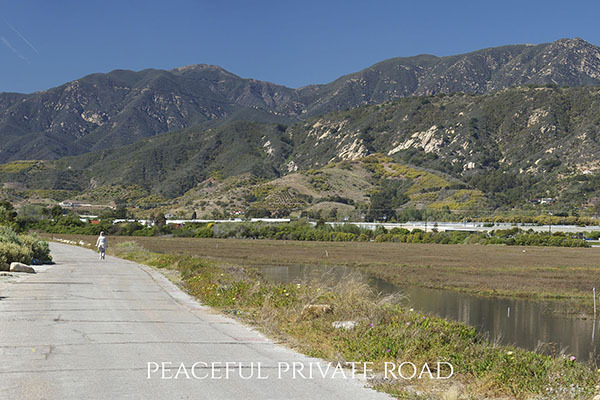 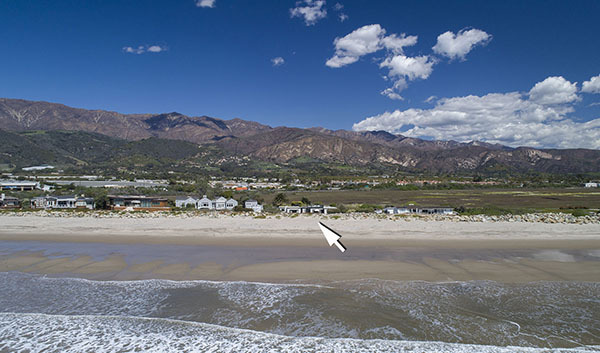 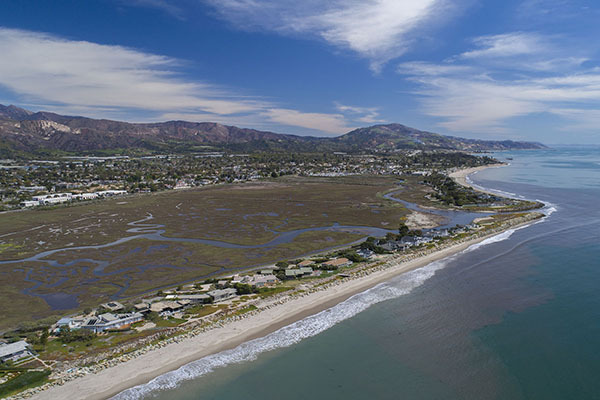 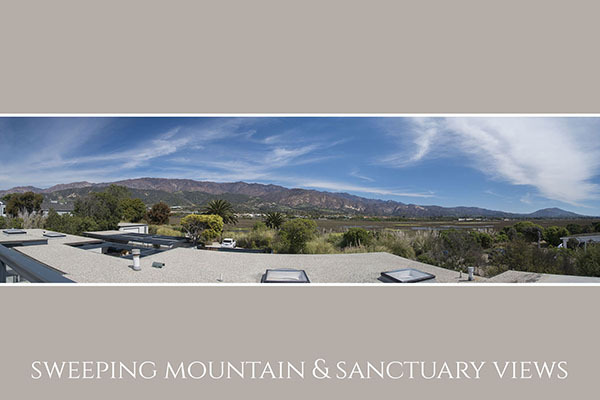 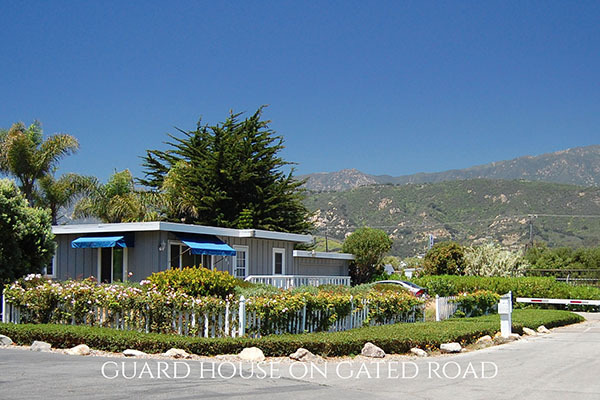 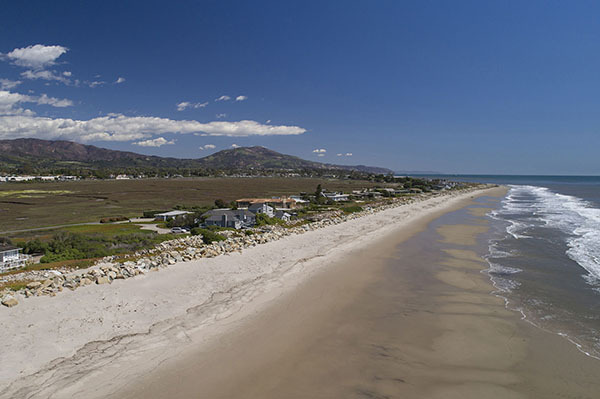 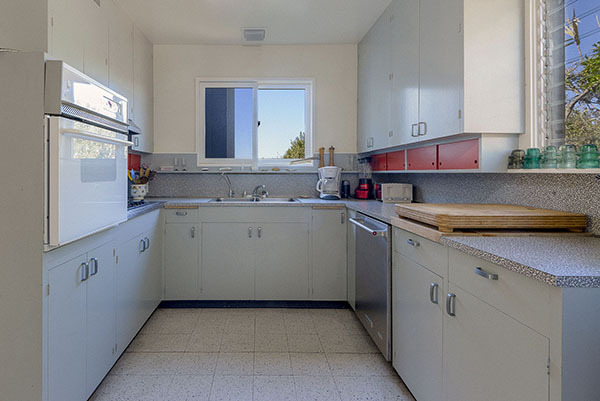 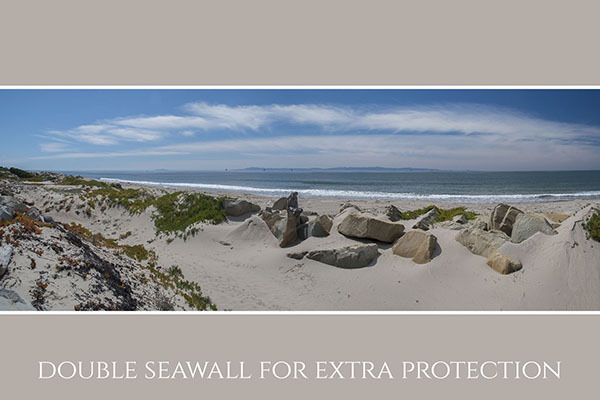 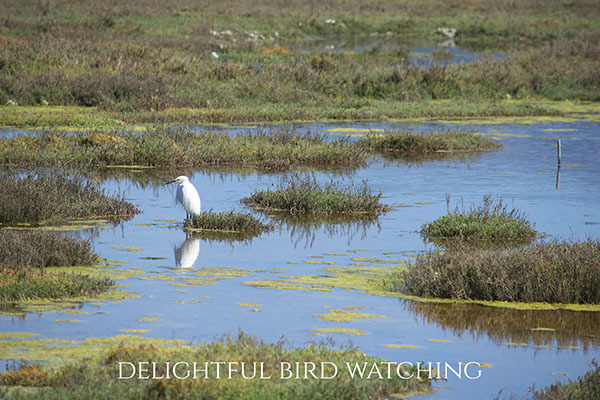 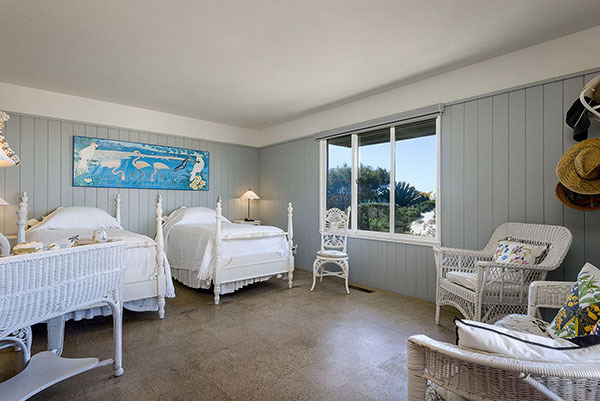 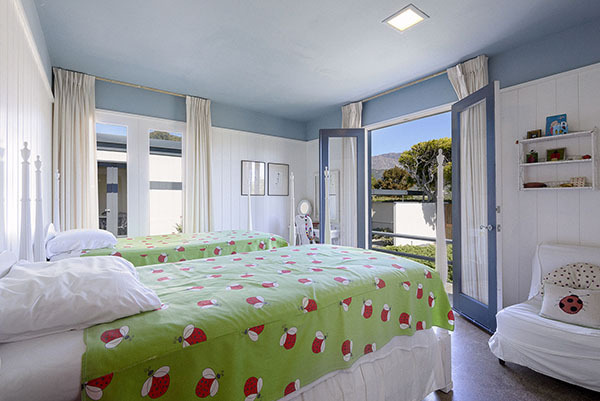 Breathtaking panoramic ocean, island and coastline views on one side are matched on the other by magnificent sweeping views of the dramatic Santa Ynez mountains across the vast Salt Marsh Preserve with its plentiful waterfowl. 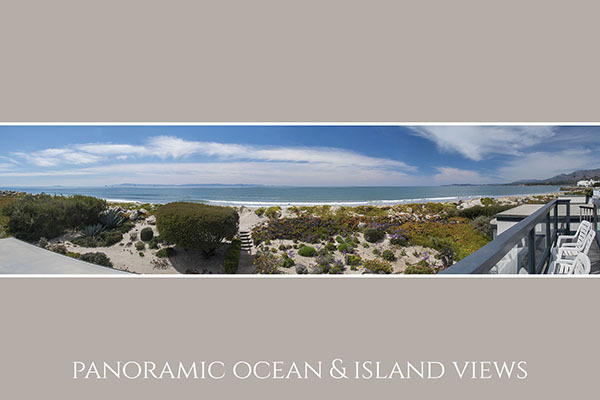 Currently, these views are enjoyed from a rooftop deck, as the present home was constructed prior to the substantial protective seawall; with new construction, the 360º views would be captivating from every room. 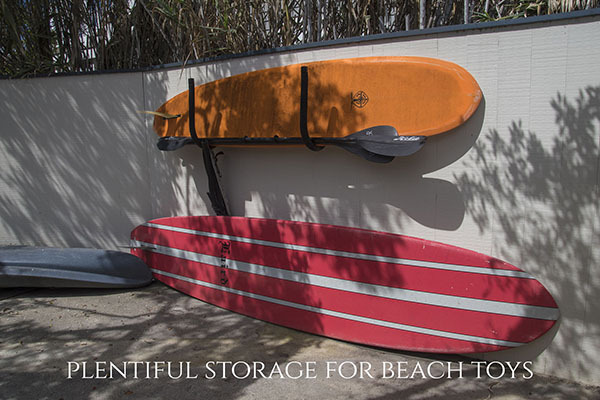 Beloved by the same family for generations, this appx. 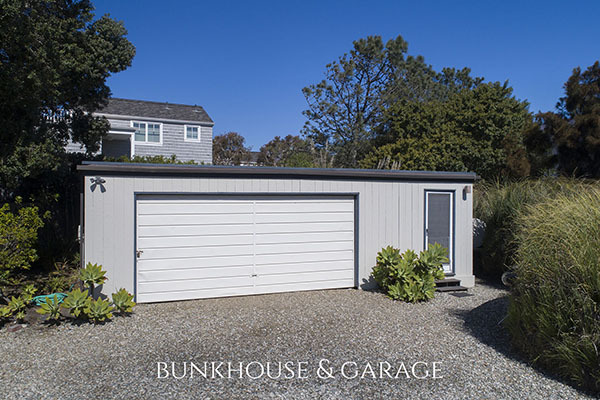 2,300 sq.ft. 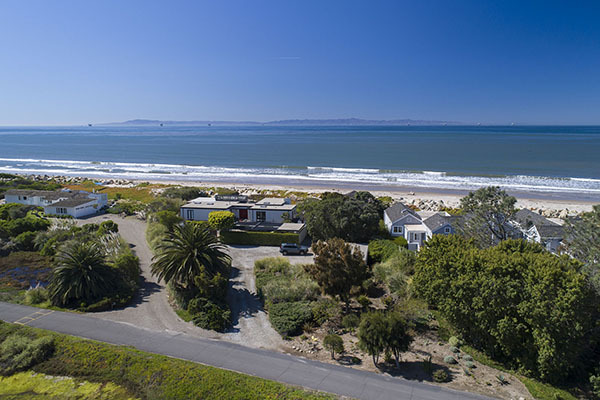 three bedroom + den/two and one-half bath home has a comfortable, beachy feel, perfect for relaxing with friends and family. 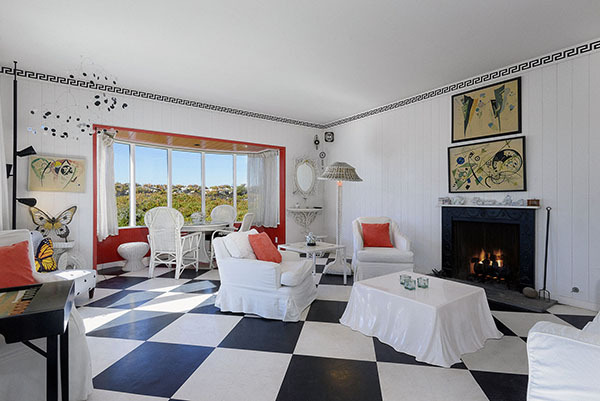 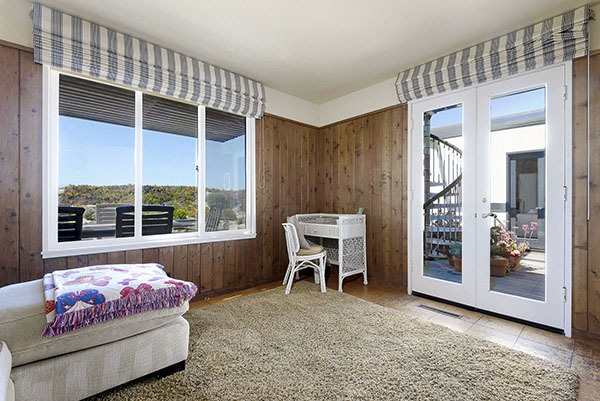 The bright and inviting living room has a cozy fireplace, picture windows to the seaside garden and easy access to the large deck. 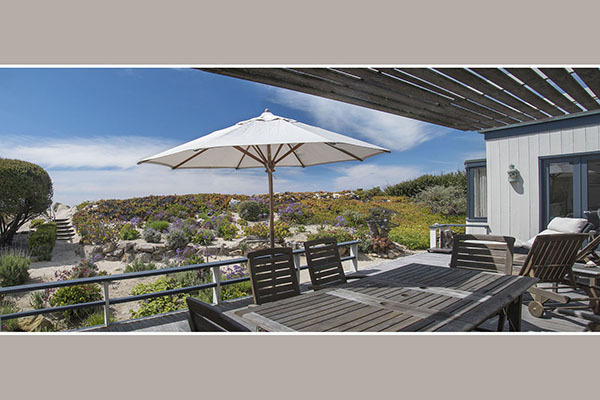 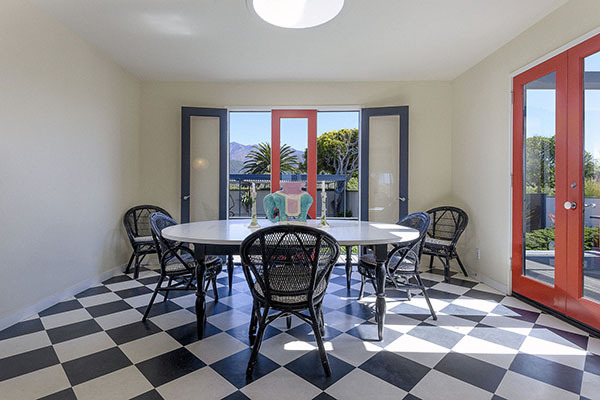 Stories of beach adventures and bird watching finds can be shared around the table either in the formal dining room, or al fresco under the outside trellis. 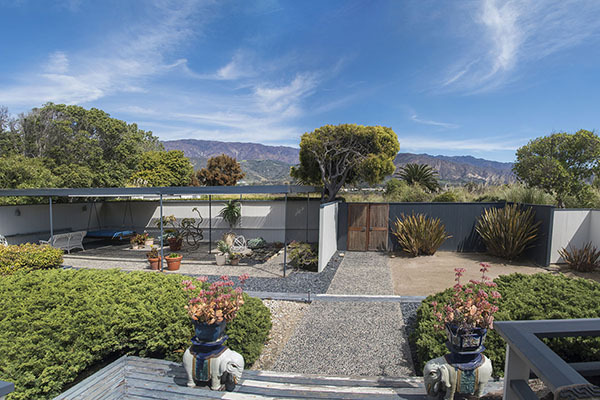 On breezier days, the pretty entry courtyard calls for an afternoon nap or evening gatherings around the fire pit. 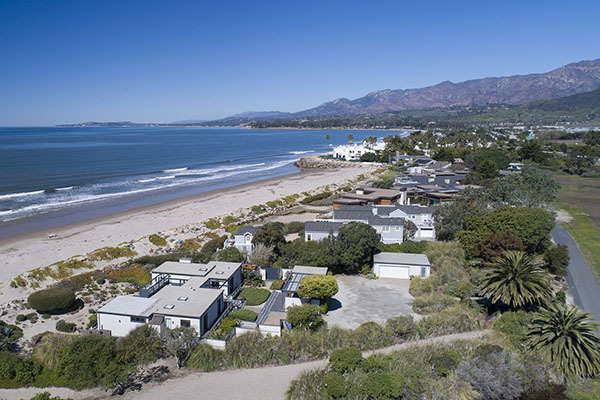 Minutes from Santa Barbara and Montecito, this 2.72 acre property is within a short stroll to casual dining, specialty boutiques and cool surf shops. 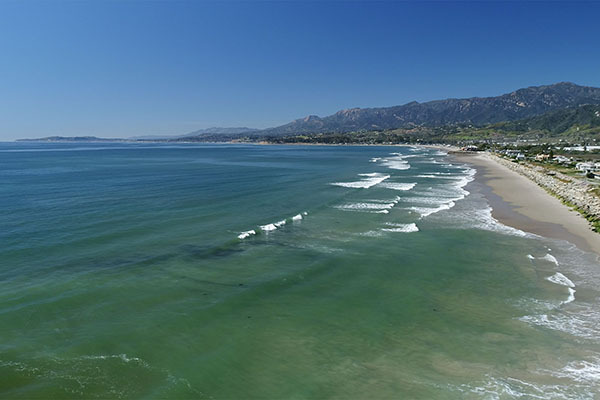 Los Angeles, just over an hour down the coast, feels a world away. 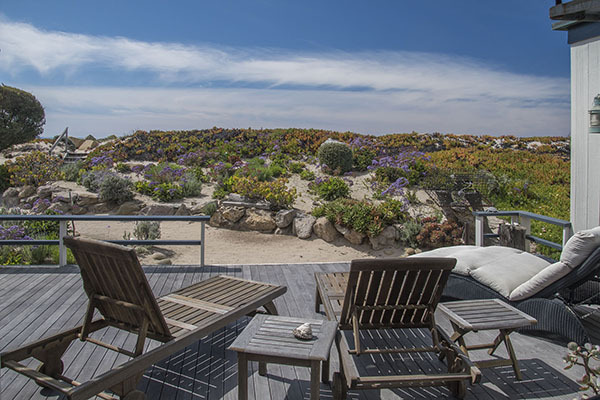 With its abundance of natural beauty all around, this home offers a truly serene lifestyle by the sea. 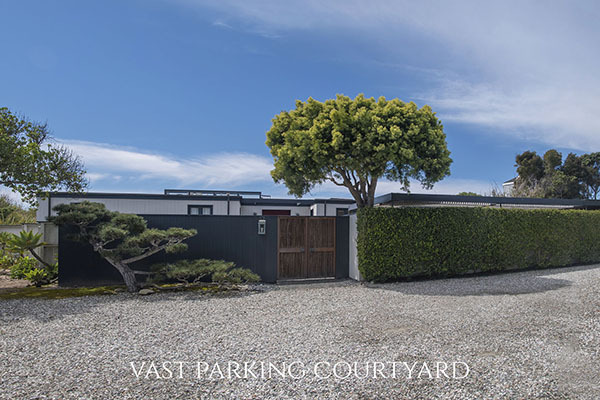 For further information, please visit the dedicated website for the property by clicking here. 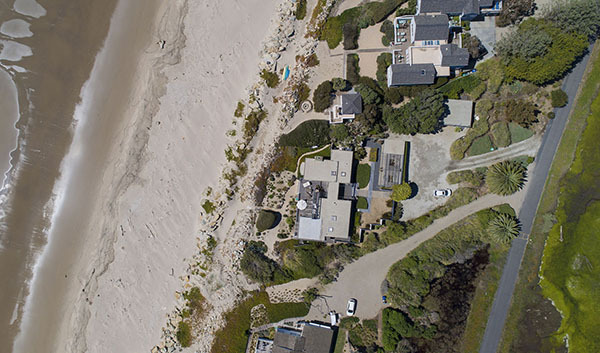 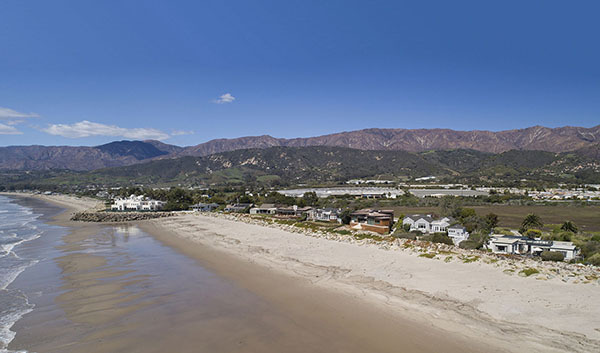 791 Sand Point Road came on the market in September 2018 asking $9,750,000. 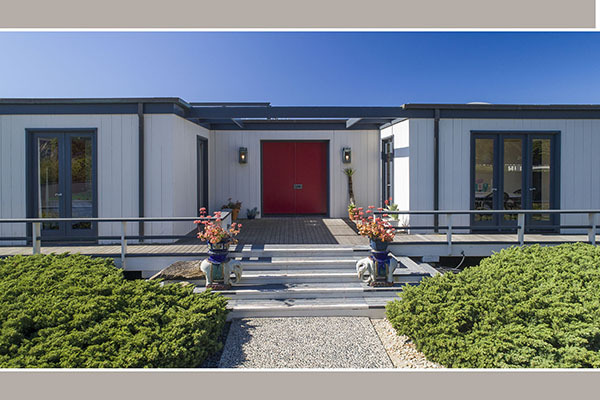 None, as this home has been cherished by the same family for decades.